Halle stepped out in this GORGEOUS funnel neck trench coat this week. Want it. Love it. Need it? 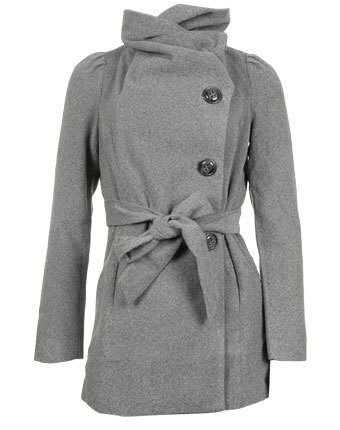 Try Metropark they have this great crumpled collar coat that is beyond reasonable at $62.30! OMG. I LOVE THIS COAT! !